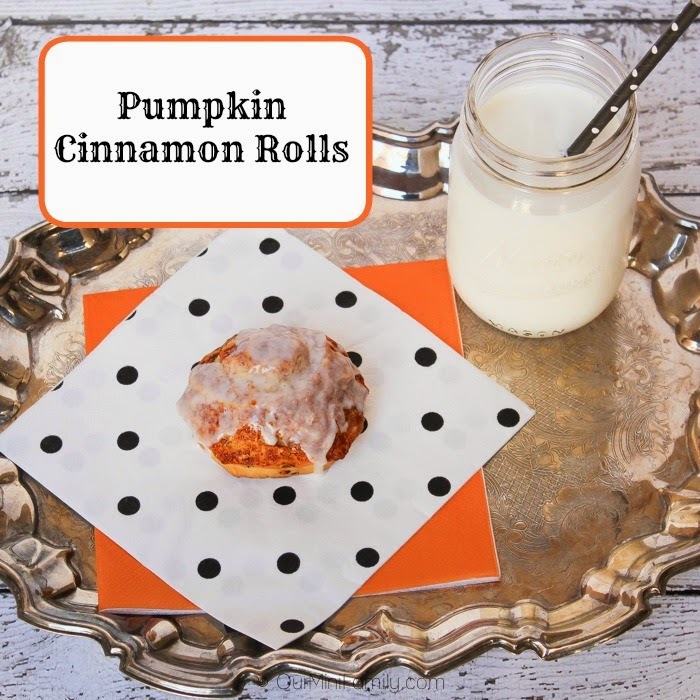 For these Pumpkin Cinnamon Rolls, we used Pillsbury Cinnamon Rolls with Icing and Kozlowski Farms' Pumpkin Butter. We thought, "why reinvent the cinnamon rolls wheel, when Pillsbury's already got it mastered?!" We just wanted to find a way to incorporate our favorite, fall ingredient: pumpkin! To achieve our pumpkin cinnamon rolls, we prepared the Pillsbury Cinnamon Rolls with Icing as usual (but before we placed them into the oven on a cookie sheet we did two things first): we slathered a layer of pumpkin butter on top of the cinnamon rolls before baking, and we placed the rolls on the baking mats before putting on a cookie sheet to bake in the oven! 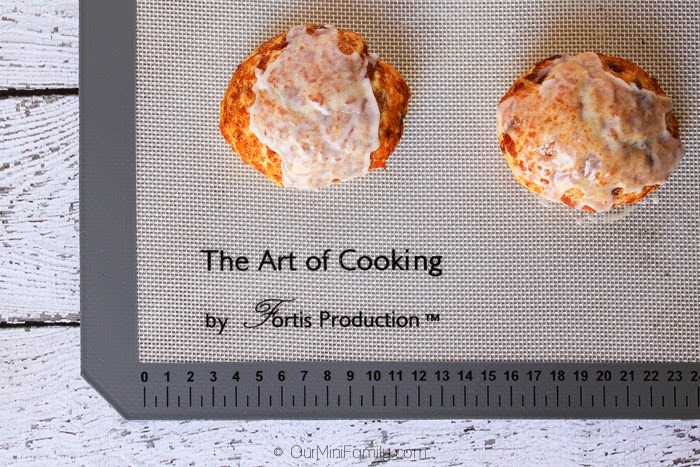 When setting your cinnamon rolls onto the cookie sheet and silicone baking mat, it's important that you set them a full 2 inches apart. 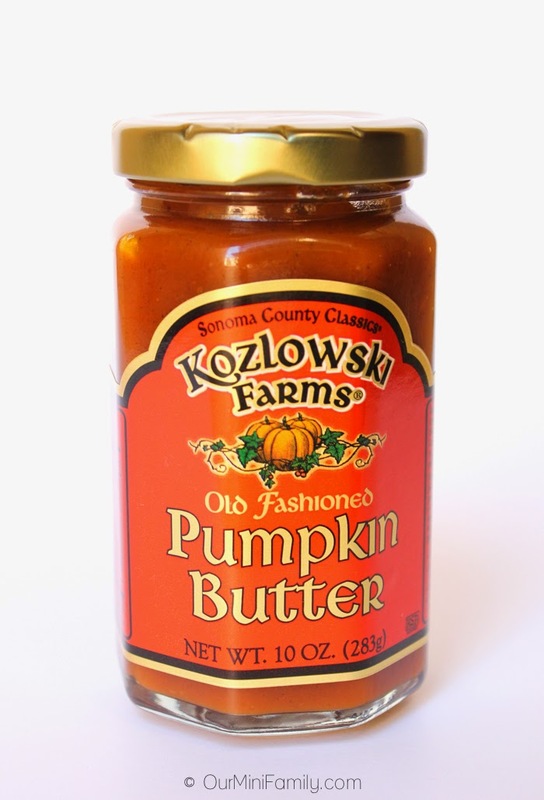 ooo that pumpkin butter sounds just amazing!!! It sure is! Have you ever had it before? Oh that sounds really amazing. I am sure if you put it on anything it would taste great! Yeah this pumpkin butter is to-die for! Pumpkin butter? That sounds AMAZING! This would be the perfect fall treat!